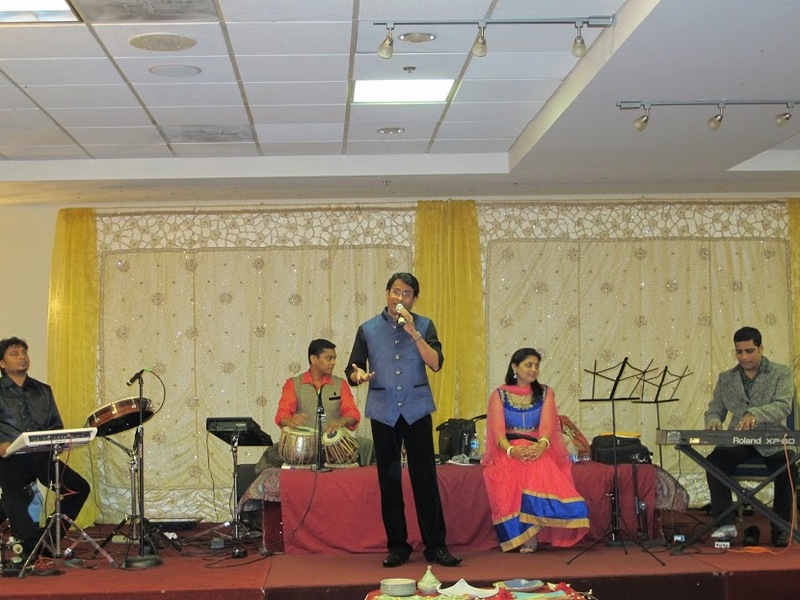 Atlanta, GA: Atlanta’s music lovers were in for yet another musical treat when versatile playback singer Rana Chatterjee and Group performed at Impact Banquet Hall, Global Mall, on Saturday, 7th March, 2015. The troupe started its US tour from Jacksonville, Florida on February 28 on Ekal Vidyalaya Foundation of America’s 2015 Annual Fundraiser to help eradicate illiteracy, educate and empower rural and tribal India through Ekal one-teacher schools. After raising sponsorships for 1160 schools in sixFloridacities, (Tampasponsored 600) they enraptured over 250 music aficionados inAtlanta. The concert was graced by several luminaries of the Atlanta community and appropriately the five wicks of the ceremonial lamp were lit by all five: Hon. Srinivasan Rangachari, Deputy Consul and Acting Consul, Consulate General of India in Atlanta, Harsha Agadi, chairman of Quiznos, Dr. Jagdish Sheth, Professor of Marketing at Goizuetta Business School, Suresh Sharma, CEO of Innovolt and JS3 Global and Mohan Kapur, motivational speaker and executive coach. The last three dignitaries are on Ekal’s Advisory Board ever since they were panelists on Ekal’s Power of Education Forum held in September 2014 and were highly impressed with Ekal’s work. 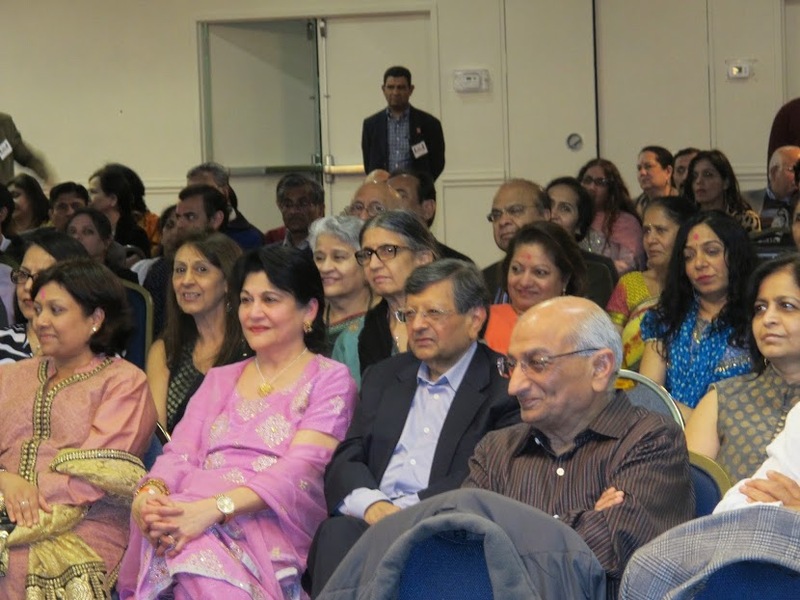 The event began with Holi flair, as the attendees were served a welcome-drink, a delectable “thandai” sponsored and prepared by the World Hindu Council of America (VHPA). A sumptuous dinner, dessert and mid-program tea have become the hallmark of Ekal programs. Ekal Southeast Region President, Chander Aggarwal welcomed all, and introduced the artists- Rana Chatterjee, who has given playback for Bengali movies and performed all over India, UK, UAE, South Africa, and 14 consecutive shows in Dubai; Sangeeta Melekar, who is also a versatile singer for over 25 years and who at a very young age sang on Zee TV’s SAREGAMA as a guest artist; Piyush Bhatt on the melody synthesizer; Daxesh Patel on the tabla and percussion instruments; and Jaykumar Natu, the rhythmist. All have been performing for over 20 years and dazzled the audience with their prowess. Rana Chatterjee showed his true finesse when he rendered the fast-paced song, “Ek chatur naar karke singaar” (Padosan), in three distinct voices of Manna Dey, Kishore Kumar and Mehmood. He was equally adept at singing soulful new numbers like Arijit Singh’s “Suno na sangemarmar” (Younistan). The three musicians showed their dexterity in the spellbinding song ‘Madhuban mein Radhika’ (Kohinoor). No wonder, these songs received a standing ovation from the discerning music lovers. A local artist and Ekal sponsor, Shipra Chordia donated seven of her latest and exquisite one-of-a-kind pottery creations which were raffled to the school sponsors at the end. Ekal emcee, Rachna Gupta, encouraged other local artists to also showcase and donate their talent. A presentation by Amit Sabnis showed the strides Ekal has made in rural/tribal education, health, empowerment and integrated village development. The Ekal videos showed that the dream of Swami Vivekananda, “If the poor child cannot come to education, education must go to him” was being turned into reality with over 700,000 girls and equal number of boys enrolled in 52,523 Ekal schools across India. Atlantans added 59 new schools in addition to the 100 schools they had already raised in December 2014 at Ekal’s Shaam-E-Sangeet event. 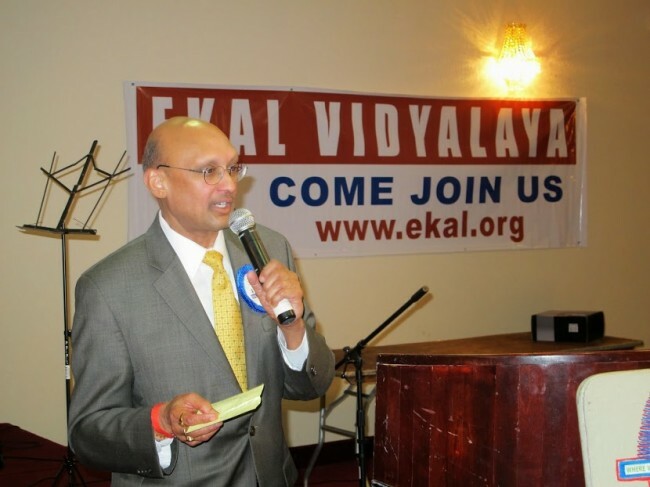 Kalpesh Patel of Raja Foods, Sunil Sachdeva of SDK & Associates and Harmeet Pandha of Sai Fresh Foods in Norcross were touched by her appeal and agreed to permanently sponsor and cover some portion of Ekal’s event expenses. Rina hoped that other community members would also step up to the plate. 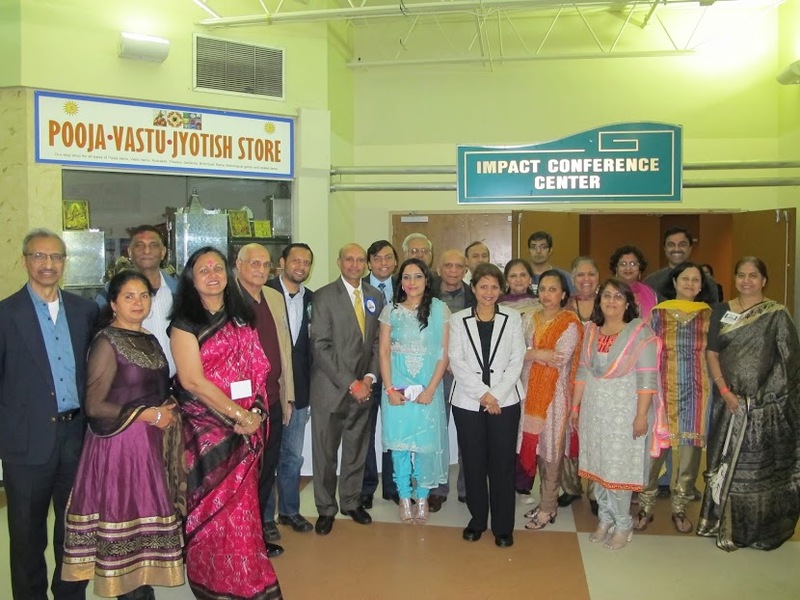 Atlantachapter President Shiv Aggarwal was most effusive in his thanks to all the sponsors, dignitaries, media, Fifth Season decorators and all Ekal, VHPA and SEWA volunteers who worked tirelessly in the background. TV Asia’s time and talent to cover the event which airs on their “Community Roundup” segment was deeply appreciated by artists and audience alike. Ekal is slowing inching towards its goal of 100,000 vidyalayas. All sponsors are able to track the progress of their school and get additional information at ekal.org. All in all, the entire program for a very worthy cause was beautifully and flawlessly choreographed turning the musical evening into a magical evening!